You’re driving along and all of a sudden, a red or orange light catches your eye. It’s the check engine light, and your stomach drops. It could be anything from an impending engine fire (unlikely) to a loose gas cap. 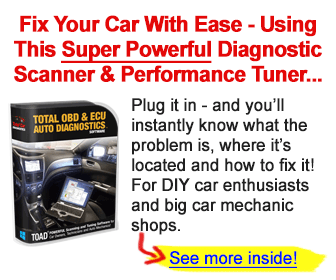 There are hundreds of reasons your check engine light comes on. But only a dozen or so are common. We’ve picked six of the most common reasons and detailed them for you, below. Engines are complex beasts and they involve a lot of elements. One of those elements is oxygen, which is part of how gas combustion works. And if your O2 sensor is damaged or broken, it can cause your car to burn through gas faster and work less efficiently. That’s the last thing we need right now, as we have twelve years to get our emissions and greenhouse gases down. It’s not that expensive of a repair, it’ll cost you around two hundred dollars in and out of the shop. If you notice your car is losing fuel or you’re filling up more often and don’t see any issues with your tires (and you haven’t switched gas types/stations) ask a mechanic to check your O2 sensor. Most will do this for free, or for a very small fee. If you don’t get it fixed right away your car will keep working, but you’ll spend more money on gas and you may fail your next emissions test. This is the best case scenario if your check engine light comes on because it’s such a quick fix! It’s one of the most common reasons that little frightening light goes on as well. Your gas cap plays a surprisingly big role in how your car processes gas. So if it’s loose, it can cause some engine problems. Most of us fill up often enough that, even if it’s loose, we fix it the next time we fill up and avoid long term damage. Sometimes, though, it’s a more complex fix. There are little bands, that help seal your gas cap shut. Those can degrade and get brittle over time. If you take a look at yours and see that it’s shot, just go on Amazon and buy a new one. You can install it yourself with the help of a YouTube video. What do you mean that’s not what YouTube is for? You must not be using it right. Recent cars have a tire pressure gauge built into the car, and it’ll tell you when pressure is low on the car’s screen. But older cars don’t have that, most of the time. If your car’s computer is very thorough, the check engine light may come on for a low tire pressure alert. You should check your tire pressure about once a month. Make it part of a normal routine, as you check it when you go to the car wash. They usually have compressed air cylinders you can use at those gas stations anyways. When you fill up your tires, you can’t necessarily trust the pressure gauge built into the machine. You should have a classic manual gauge in your pocket, to make sure you’re not overfilling. Once your tires are where they need to be, make sure that little cap is twisted on tight. If your battery is on the fritz, you may see your check engine light pop on. If it’s 100% dead, there won’t be enough power to illuminate the engine light. If you have a battery drain, though, and it’s not fully dead, your check engine light can tell you. Sometimes things in the electrical system get mixed up or wires get crossed. It’s possible that your sound system or even your AC is pulling too much power. They can even pull power from the battery while your car is off. If you seem to have trouble starting your car every once in a while (in that it seems to putter, but it starts) have your battery level checked. If that does nothing, go in for an electrical check on your car. You don’t have to buy an entirely new system if there’s an issue. The shop may be able to just disconnect the radio or whatever is causing the issue from the battery. You won’t have music, in that case, but you’ll have a starting car, which is much more important. When you put your key in the ignition, two things happen. You’re activating the starter and sparking the spark plug. The spark plug is what causes the spark that “lights” the fuel so that your car can start moving. If there’s an issue with your spark plug, you’ll notice your car starts weaker, slower, and then not at all. Usually, this is a pretty easy fix. Spark plugs aren’t expensive and the repair will take a professional, but they won’t need to remove anything to get to that part of the engine. The wire that’s attached to the spark plug can cause the same sort of issue. The wire is what communicates from the car battery to the spark plug and delivers the electrical charge. A quick electrical check or just a general car checkup will alert you to this problem – which you need to fix ASAP. No one wants to be stuck with a car that won’t start and won’t jump. If your car was in an accident and things seemed fine, problems can still develop from the collision over time. You’ll need to make sure you look at this helpful link to learn about collision repair insurance. Otherwise, you’re spending your money twice. There you have it. Six common reasons that your check engine light comes on and makes your stomach do that anxious drop. If you get it tested and figure out which of these reasons your check engine light comes on in good time, your car should be fine. The real problems develop when you let issues fester and don’t get them fixed. If all else fails, check your car’s manual. It has insights into couldn’t begin to tell you. Don’t know where it is? That’s okay – find it online, here.